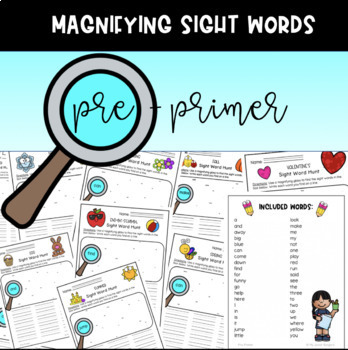 Pre-Primer Dolch List Sight Word Activities Year-Long Bundle! 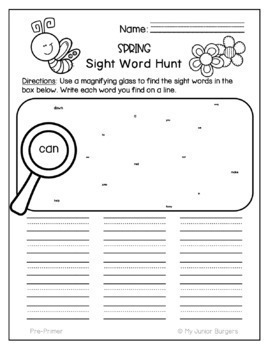 These sight word magnifying activities are excellent for ANY student working on sight words!!! 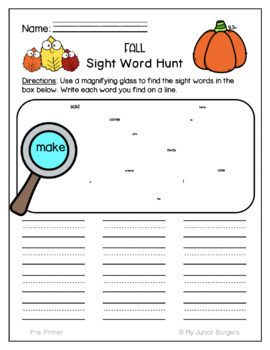 The words vary in size making finding sight words like an investigation game! Using a magnifying glass, your students can find even the smallest words. In this set, you will find a mix of ALL 40 Pre-Primer Dolch sight words with engaging monthly themed graphics! Black and white versions as well as versions without additional graphics are also included for easy printing! 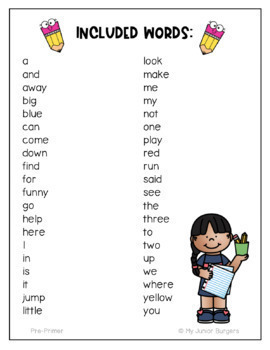 Print 4 or 5 themed pages each month to use as a word-work center. Putting the pages in sheet protectors or laminating pages will make them reusable for multiple years of classes!